A sonnet is fundamentally a dialectical construct which allows the poet to examine the nature and ramifications of two usually contrastive ideas, emotions, states of mind, beliefs, actions, events, images, etc., by juxtaposing the two against each other, and possibly resolving or just revealing the tensions created and operative between the two. O. K., so much for the fancy language. Basically, in a sonnet, you show two related but differing things to the reader in order to communicate something about them. Each of the three major types of sonnets accomplishes this in a somewhat different way. There are, of course, other types of sonnets, as well, but I'll stick for now to just the basic three (Italian, Spenserian, English), with a brief look at some non-standard sonnets. The basic meter of all sonnets in English is iambic pentameter, although there have been a few tetrameter and even hexameter sonnets, as well. The point here is that the poem is divided into two sections by the two differing rhyme groups. 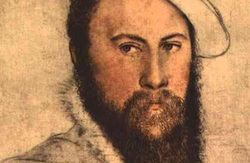 Sir Thomas Wyatt: "Whoso List to Hunt"
» The REAL TRUTH about Anne Boleyn "The Most Happy" 10 Oct.
Metaphor: compares two unlike things that have something in common, but unlike similes, metaphors use no connective such as like or as. B. Implied: Who is pulling the strings? A metaphor that is developed at great length, often through a whole work or a great part of it, is called an extended metaphor. Wyatt's "Whoso List to Hunt" contains an extended metaphor, with the hunter representing the love struck poet and the deer representing the poet's beloved (supposedly Anne Boleyn). This is an extended metaphor comparing hunting to catching or wooing his unobtainable love. 'Noli me tangere': Don't touch me; using Latin of John, 20:17.Out of context- presumably this applies to the situation of Anne Boleyn, admired by Wyatt, but already marked for Henry Vlll. 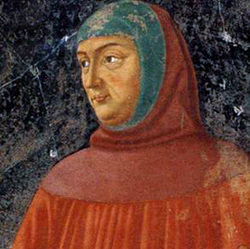 An example of a mixing of a Petrarch conceit and what was thought to be an actual court intrigue: a court poet in love with the king's wife-to-be. Seen as a prototypical English Petrarchan fashion. Elizabethan themes: delight and melancholy of love; fickleness of fortune; the pangs of rejected love: the lover's agonies, his sighs and tears. Metaphors: love visualized in pastoral terms: the search for love compared to a hunt, chasing deer; the vanity of love compared to holding wind in a net; a series of contradictions: ain travail, wild so she seems tame. - The couplet often provides a comment on the preceding lines or gives them a twist. Shall I / com PARE/ thee TO / a SUM / mer’s DAY? Shakespeare’s plays are also written primarily in iambic pentameter, but the lines are unrhymed and not grouped into stanzas. Unrhymed iambic pentameter is called blank verse. It should be noted that there are also many prose passages in Shakespeare’s plays and some lines of trochaic tetrameter, such as the Witches' speeches in Macbeth. Mabillard, Amanda. Shakespearean Sonnet Basics: Iambic Pentameter and the English Sonnet Style. 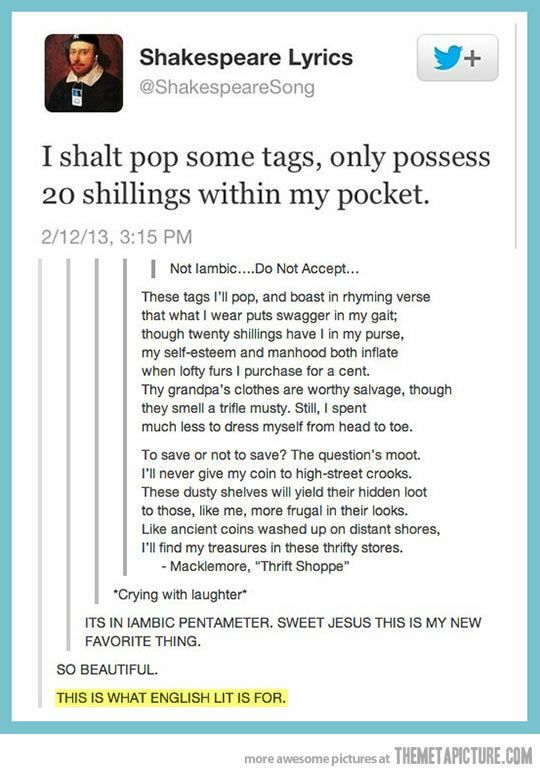 Shakespeare Online. 20 Aug. 2000. 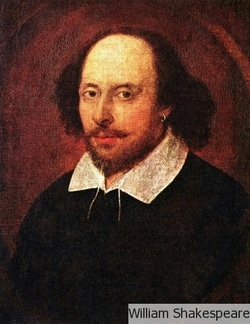 (January 25, 2012) < http://www.shakespeare-online.com/sonnets/sonnetstyle.html >. The sonnet form is being experimented with: mix up things and experiment with rhythm and rhyme. Howard is learning to develop the English sonnet; rhyming couplet at the end. Comfort my self when that my hape is nowght. Definition of Antithesis Literary Term: Words and phrases with opposite meanings are balanced against each other. An example of antithesis is "To err is human, to forgive, divine." by Alexander Pope which illustrates an example of antithesis with words and phrases with opposite meanings balanced against each other. In "A Lover's Vow," Howard uses the poetic device of antithesis in order to explain the extent of his love. By balancing opposites, like age and youth, heat and cold, heaven or hell, he is stating that in the extremes of life and every scenario in between, he will always be true to his vow to love her. The meaning is the same in traditional wedding vows. These vows use antithesis to demonstrate the strength of their promise to love one another in all situations. 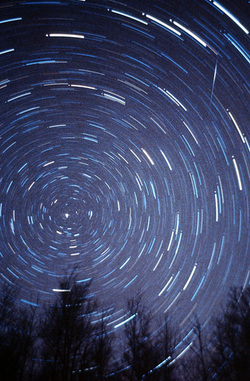 "Alas, So All Things Now Do Hold Their Peace"
The night's chare the stars about doth bring. This poem is found with many variations in five manuscripts. We follow Leicester Bradner, The Poems of Queen Elizabeth, in using the British Museum's Harleian 7392 as the basis for our text. The Bodleian Library's Rawlinson manuscript, written between 1590 and 1600, also contains a version of the poem and states, furthermore, that it was written when Elizabeth "was suposed to be in love with mounsyre," that is, her French suitor, the duke of Anjou. Some modern scholars doubt that Elizabeth wrote the poem, but all accept it as an important cultural document about her. Refrain: the Repetition of one or more lines in each Stanza of a poem. 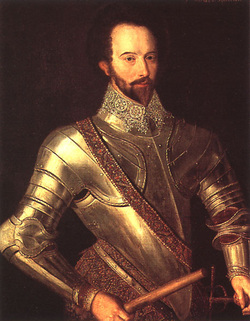 Raleigh was an adventurer, courtier to Elizabeth I, navigator, author and poet.M Walter Raleigh (also spelled Ralegh) was born into a well-connected gentry family at Hayes Barton in Devon in around 1552. He attended Oxford University for a time, fought with the Huguenots in France and later studied law in London. In 1578, Raleigh sailed to America with explorer Sir Humphrey Gilbert, his half brother. This expedition may have stimulated his plan to found a colony there. In 1585, he sponsored the first English colony in America on Roanoke Island (now North Carolina). The colony failed and another attempt at colonization also failed in 1587. Raleigh has been credited with bringing potatoes and tobacco back to Britain, although both of these were already known via the Spanish. Raleigh did help to make smoking popular at court. Raleigh first came to the attention of Elizabeth I in 1580, when he went to Ireland to help suppress an uprising in Munster. He soon became a favorite of the queen, and was knighted and appointed captain of the Queen's Guard (1587). 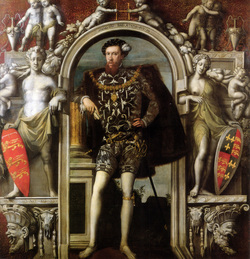 He became a member of parliament in 1584 and received extensive estates in Ireland. 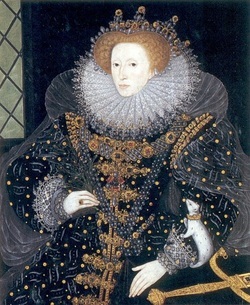 In 1592, the queen discovered Raleigh's secret marriage to one of her maids of honor, Elizabeth Throckmorton. This discovery threw Elizabeth into a jealous rage and Raleigh and his wife were imprisoned in the Tower. On his release, in an attempt to find favor with the queen, he set off on an unsuccessful expedition to find El Dorado, the fabled 'Golden Land', rumored to be situated somewhere beyond the mouth of the Orinoco river in Guiana (now Venezuela). 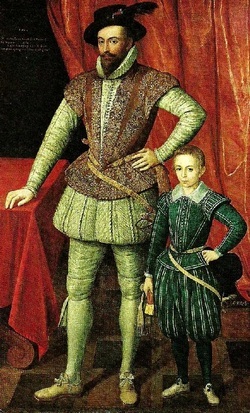 Elizabeth's successor, James I of England and VI of Scotland, disliked Raleigh, and in 1603 he was accused of plotting against the king and sentenced to death. This was reduced to life imprisonment and Raleigh spent the next 12 years in the Tower of London, where he wrote the first volume of his 'History of the World' (1614). In 1616, Raleigh was released to lead a second expedition to search for El Dorado. The expedition was a failure, and Raleigh also defied the king's instructions by attacking the Spanish. On his return to England, the death sentence was reinstated and Raleigh's execution took place on 29 October 1618. That they are poor in which makes a lover. That silence is the best suitor. Analysis of "To Queen Elizabeth"
Stanza 1: Raleigh begins with a simile, comparing passions (love) to streams and floods. This becomes an analogy as the comparison is continued. Just a like a shallow brook babbles, a suitor with shallow feelings will also babble. Those you have deep passions like a flood, will be silent (dumb) because of the great amount of their love. Raleigh argues in the last two lines that a clever talker is actually shallow and would not be worthy of her. The analogy is stating that a man with deep love for her would be silent on the subject, making him a better option. He urges Elizabeth to not misinterpret his actions by underestimating his love for her because he does not ask for her compassion. He is feels the pain (smart) of her un-returned affections, but he doesn't beg her to change. Why? Duty. Remember that he was an adviser and personal body guard to the Queen. His duty is to serve her. He is not silent about his love for her because he doesn't love her, he is silent because he could not win her with his words, and his duty prevents him from trying. He serves the perfectly unobtainable woman. No man can have her and no man could deserve her. She is perfect and all would want to accept her love, yet none of them will ever have it. Instead of complaining, or getting relief by expressing his emotions to her (which would be the selfish thing to do), he takes glory in the amount of grief he suffers by keeping his feelings to himself. His point is that he is being heroic, brave, and self-less by not declaring his love for her. When a man wants a woman he cannot have, and he can't get her out of his mind, discretion or silence will cover his emotions so that no one would know. Think back to the analogy of the stream and the flood: silence is the best suitor because it shows the deepest amount of love. Any suitor would complain, and their murmuring would show the shallowness of their love for her. Silence, when it comes to love, speaks louder than words. Actually, Raleigh argues, he should be pitied doubly just like a beggar who cannot speak. She should have mercy on him because the depth of his love for her prohibits him for declaring it. He asks for her understanding. His secret passion is stronger than all of her other suitors, he suffers with his feelings, and he doesn't beg for her understanding. Key Observations on "To Queen Elizabeth"
1. A Nod to Medieval Romance: Raleigh was known to be a chivalrous courtier. He is rumored to have thrown down his cloak over a puddle so that Queen Elizabeth did not muddy her shoes. This is just a rumor, but their is evidence of courtly love themes in this poem. A. The Lady is on a Pedestal: Lines 15-18 state that "For knowing that I sue to serve / A saint of such perfection / As all desire, yet none deserve, / A place in her affection." Her saintliness and her perfection place her out of reach of all men because no man could ever deserve her, even Raleigh. In lines 23-24 Raleigh writes "Those desires that aim too high / For any mortal Lover," meaning that no mere mortal could ever woo her. B. The Relationship will remain Platonic: Because she is so high above him, and because of his duty to her, he must suffer knowing that she will never return his affections. Question: Is writing five stanzas of poetry on how his passion is secret, like on line 36, actually keeping his emotions to himself, suffering with unrequited love without relief, and proving the depth of his love? In "Sir Walter Raleigh to His Son," Raleigh uses the English sonnet form to warn his child of the pitfalls of growing older, and how it can lead to his death if he is not careful. In the sestet, the last six lines, Raleigh explains the solution. While the metaphors he uses "assemble not" in real life, he uses the wood, the weed, and the wag to explain that it is important to be wary of one's actions in life. As his son gets older, he gains more freedom, and it is important to Raleigh that his son learns how to live safely: by making sure the wood, the weed and the wag do not assemble. Gordon, Chaucer. "Sir Walter Raleigh to His Son." Chaucer. Web. 09 Jan.
Who sits and marks still who doth act amiss. And then we die in earnest, that’s no jest. This is a philosophical look at the meaning of life. 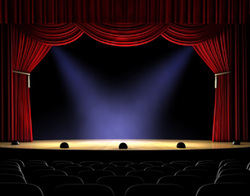 The extended metaphor describes life by comparing it to theatre or a play. Life is short, we are prepared for it while in our mother's wombs, heaven (God) is the spectator you makes note of our mistakes, and when the final curtain is drawn, we are dead and buried. The final two lines note the drawback of this comparison by explaining that in life we actually die, while on stage death is never actual. "Basic Sonnet Forms." 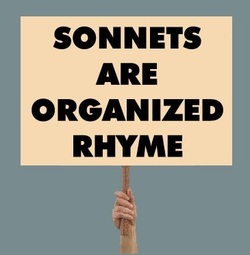 Sonnet Central. Web. 10 Jan. 2012. <http://www.sonnets.org/basicforms.htm>. The speaker in Spenser's sonnet 'My Love Is Like to Ice' is the mask the poet adopts, using an ancient rhetorical device. The poet and the speaker (or persona, which literally means 'mask') are not necessarily one and the same. You can consider it the perceiving consciousness, if you prefer; the main thing is to avoid the confusion and misunderstanding that accompanies the error. Please remember that a poet like Spenser was always in complete control of his subject. He was not given to flights of fancy in any way whatsoever! The poem is a sonnet grouped into three quatrains and a couplet. The rhyme scheme of the first quatrain is ABAB / fire, great, desire, entreat; the second is BCBC / heat, cold, sweat, manifold; the third rhymes CDCD / told, ice, cold, device; and the couplet rhymes EE / mind, kind. The rhyme includes near rhyme in great/entreat and heat/sweat. Keep in mind that in Spenser's day, poetry was considered a rhetorical game more often than not. The first line is a simile that compares his love/beloved one to ice and the speaker to a fire that for some reason does not thaw his frozen love. The more he pursues her, the faster she flees (the colder she gets!) . There is a 'law of contraries' being created here that defies natural law - those laws like gravity that operate on one and all in normal circumstances. But these are NOT normal times, the speaker alleges. 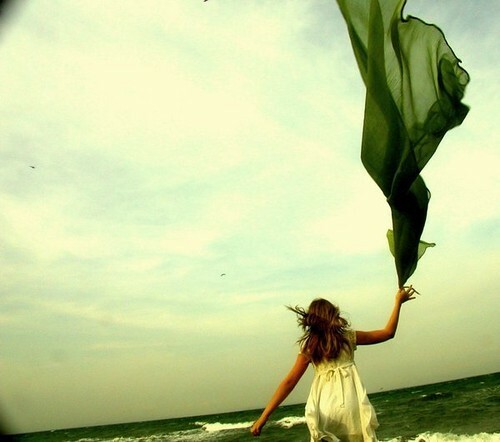 This is a time for miracles in the realm of romance. We are in a foreign place where the usual laws do not apply. The couplet resolves the dilemma by sleight of language - the power of love can overrule natural love and change our very nature. Our 'kind' (mankind) can be changed to its very core. Thousands of Poems and Poets.. Poetry Search Engine. 30 Sept. 2009. Web. 10 Jan. This sonnet seems to be about the author’s attempts to immortalize his wife or the love of his life. Spenser starts the poem with a quatrain recalling an incident that could have happened any summer day at the seaside. 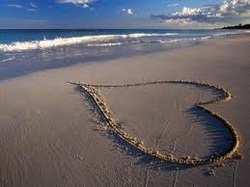 He writes his love’s name in the sand at the beach, but the ocean’s waves wipe it away, just as time will destroy all man made things. The next quatrain describes the woman’s reaction to the man’s charming attempt to immortalize her. She claims that the man’s attempts were in vain and that no mortal being can be immortalized due to the cruelness of time. The next quatrain represents a turning point in the poem and the author reveals that his wife will be eternally remembered in his poems and his verse. The final couplet at the end, “Where whenas Death shall all the world subdue, Out love shall live, and later life renew,” summarizes the theme of the poem by comparing the eternalness of love and death to the brevity of life and humanity. Spenser uses the rhyme scheme of this poem to create a contrast between earthly ideas and objects that will eventually be destroyed and heavenly ones that will last forever. The first two quatrains focus on the author’s vain attempts to write his wife’s name. Time and nature are shown to destroy the author’s manmade works and his attempts are thwarted. The author then switches gears and shows how he immortalized his wife in the very poem he is writing. Spenser uses a very melodic rhythm and iambic pentameter to create a calm and pleasant sounding poem. His frequent use of alliteration such as, “die in dust” and, “verse in virtue” helps to paint the complete picture of the poem and tie the themes of the poem together. William Shakespeare did not pioneer the English sonnet, but many think that he perfected it. This is why the English sonnet is synonymous with the Shakespearean sonnet. Shakespeare did not publish his sonnets. In fact all but two of his sonnets were private until Thomas Thorpe published them in 1609, possibly without Shakespeare's permission. Thorpe's edition had 154 sonnets, so each sonnet is known by the number it designated to it by the order of the sonnets. We still use Thorpe's numbering to identify the sonnets today. In all, 154 sonnets belong to Shakespeare's sonnet sequence. The sonnets were probably written in the 1590's. They tell a fragmentary story involving a young man, a "dark lady," and the poet himself, together with a "rival poet." In sonnets 1-126, the young man has the principal role, while in the remainder, the dark lady becomes prominent. Scholars and critics have made many attempts to untangle all the mysteries of Shakespeare's sonnets, as they may she light on his life, but generally to no avail. It is important to remember that Shakespeare"s sonnets were written at a time when such sequences were fashionable, and thus the sonnets may be more an exercise in literary convention than in autobiography. Are the Sonnets, wholly or in part, autobiographical, or are they merely "poetical exercises" dealing with imaginary persons and experiences? This is the question to which all others relating to the poems are secondary and subordinate. For myself, I firmly believe that the great majority of the Sonnets, to quote what Wordsworth says of them, "express Shakespeare's own feelings in his own person;" or, as he says in his sonnet on the sonnet, "with this same key Shakespeare unlocked his heart." Browning, quoting this, asks: "Did Shakespeare? If so, the less Shakespeare he!" to which Swinburne replies, "No whit the less like Shakespeare, but undoubtedly the less like Browning." The theory that the Sonnets are mere exercises of fancy, "the free outcome of a poetic imagination," as Delius phrases it, is easy and specious at first, but lands us at last among worse perplexities than it evades. 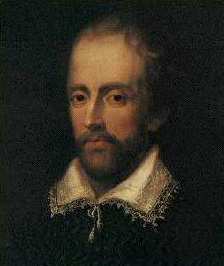 That Shakespeare, for example, should write seventeen sonnets urging a young man to marry and perpetuate his family is strange enough, but that he should select such a theme as the fictitious basis for seventeen sonnets is stranger yet; and the same may be said of the story or stories apparently underlying other of the poems. Some critics, indeed, who take them to be thus artificially inspired, have been compelled to regard them as "satirical" — intended to ridicule the sonneteers of the time, especially Drayton and Sir John Davies of Hereford. Others, like Professor Minto, who believe the first 126 to be personal, regard the rest as "exercises of skill, undertaken in a spirit of wanton defiance and derision of commonplace." The poems, to quote Dowden, "are in the taste of the time; less extravagant and less full of conceits than many other Elizabethan collections, more distinguished by exquisite imagination and all that betokens genuine feeling. . . . All that is quaint or contorted or 'conceited' in them can be paralleled from passages of early plays of Shakespeare, such as Romeo and Juliet, and the Two Gentlemen of Verona, where assuredly no satirical intention is discoverable." 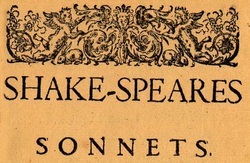 If the Sonnets were mostly written before 1598 when Meres refers to them, or 1599 when Jaggard printed two of them, or in 1593 and 1594, as Sidney Lee assumes, and if most of them, as the same critic believes, were "little more than professional trials of skill, often of superlative merit, to which the poet deemed himself challenged by the efforts of contemporary practitioners," it is passing strange that Shakespeare should not have published them ten or fifteen years before they were brought out by the pirate Thorpe. He must have written them for publication if that was their character, and the extraordinary popularity of his earlier poems would have assured them a favourable reception with the public. His fellow-townsman and friend, Richard Field, who had published the Venus and Adonis in 1593 and the Lucrece in 1594, and who must have known of the circulation of the sonnets in manuscript, would have urged him to publish them; or, if the author had declined to have them printed, some pirate, like Jaggard or Thorpe, would have done it long before 1609. Mr. Lee tells us that Sidney, Watson, Daniel, and Constable circulated their sonnets for a time in manuscript, but he tells us also that the pirates generally got hold of them and published them within a few years if the authors did not do it. But the history of The Passionate Pilgrim shows that it was not so easy to obtain copies of Shakespeare's sonnets for publication. It was the success of Venus and Adonis and Lucrece (the fourth edition of the former being issued in 1599, and the second of the latter in 1598) which prompted Jaggard to compile The Passionate Pilgrim in 1599; and it is a significant fact that he was able to rake together only ten poems which can possibly be Shakespeare's, and three of these were from Love's Labour's Lost, which had been published in 1598. To these ten pieces he added ten others (eleven, as ordinarily printed) which he impudently called Shakespeare's, though we know that most of them were stolen and can trace some of them to the authors. His book bears evidence in its very make-up that he was hard pushed to fill the pages and give the purchaser a tolerable sixpence-worth. The matter is printed on but one side of the leaf, and is further spun out by putting a head-piece and tail-piece on every page, so that a dozen lines of text sandwiched between these convenient pictorial devices make as fair a show as double the quantity would ordinarily present. Note, however, that, with all his pickings and stealings, Jaggard managed to secure but two of the sonnets, though a considerable number of them were probably in existence among the author's "private friends," as Meres expressed it a year before. The pirate Newman, in 1591, was able to print one hundred and eight sonnets by Sidney which had been circulated in manuscript, and to add to them twenty-eight by Daniel without the author's knowledge ; and sonnets by Watson and Constable, as Mr. Lee tells us, were similarly circulated and pirated. How, then, are we to explain the fact that Jaggard could obtain only two of Shakespeare's sonnets, five years or more after they had been circulating among his friends ? Is it not evident that the poems must have been carefully guarded by these friends on account of their personal and private character? A dozen more of those sonnets would have filled out Jaggard's "larcenous bundle of verse," and have obviated the necessity of pilfering from Barnfield, Griffin, Marlowe, and the rest; but at the time they were in such close confidential keeping that he could get no copies of them. In the course of years they were shown to a larger and larger number of "private friends," and with the multiplication of copies the chances of their getting outside of that confidential circle were proportionally increased. We need not be surprised, then, that a decade later somebody had succeeded in obtaining copies of them all, and sold the collection to Thorpe. Even if we suppose that the Sonnets had been impersonal, and that Shakespeare for some reason that we cannot guess had wished to withhold them from the press, we may be sure that he could not have done it in that day of imperfect copyright restrictions. Nothing could have kept a hundred and fifty poems by so popular an author out of print if there had not been strong personal reasons for maintaining their privacy. At least seven editions of the Venus and Adonis and four of the Lucrece appeared before Thorpe was able to secure "copy" for his edition of the Sonnets. If, as Mr. Lee asserts, Southampton was the patron to whom twenty that may be called "dedicatory" sonnets (23, 26, 32, 37, 38, 69, 77-86, 100, 101, 103, and 106) are addressed, it is all the more remarkable that Shakespeare should not have published them, or, if he hesitated to do it, that his noble patron should not have urged it. He had already dedicated both the Venus and Adonis and the Lucrece to Southampton; and Mr. Lee says that "three of the twenty dedicatory sonnets [26, 32, 38] merely translate into the language of poetry the expressions of devotion which had already done duty in the dedicatory epistle in verse that precedes Lucrece." Other sonnet-sequences of the time (including the four mentioned by Mr. Lee as pirated while circulated in manuscript, except Sidney's, which were not thus published until after his death) were brought out by their authors, with dedications to noble lords or ladies. Shakespeare's Sonnets, so far as I am aware, are the only exception to the rule. Mr. Lee himself admits that "at a first glance a far larger proportion of Shakespeare's sonnets give the reader the illusion of personal confessions than those of any contemporary;" and elsewhere he recognizes in them more "intensity" than appears in the earlier poems except in "occasional utterances" of Lucrece; but, for all that, he would have us believe that they are not personal, and that their "superior and more evenly sustained energy is to be attributed, not to the accession of power that comes with increase of years, but to the innate principles of the poetic form, and to metrical exigencies which impelled the sonneteer to aim at a uniform condensation of thought and language." I cannot help agreeing with those who regard their personal character as no "illusion," and who believe that they clearly show the increase of power which comes with years, their true date probably being 1597-98 rather than 1593-94. For myself, I could as soon believe the penitential psalms of David to be purely rhetorical and fictitious as the 129th Sonnet, than which no more remorseful utterance was ever wrung from a soul that had tasted the ashes to which the Sodom-apples of illicit love are turned in the end. Have we there nothing but the "admirable fooling" of the actor masquerading in the garb of the penitent, or the satirist mimicking the conceits and affectations of the sonneteers of the time? If this is supposed to be the counterfeit of feeling, I can only exclaim with Leonato in Much Ado, "O God! Counterfeit! 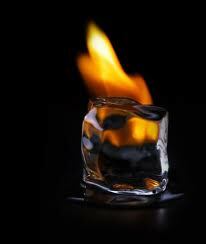 There was never counterfeit of passion came so near the life of passion!" Online. 20 Aug. 2009. 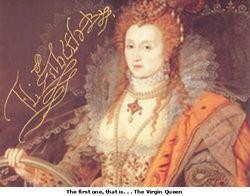 (date when you accessed the information) < http://www.shakespeare-online.com/sonnets/sonnetsautobio.html >. "Analysis of Shakespeare's Sonnet 29." Shakespeare Online. Web. 11 Jan. 2012. <http://www.shakespeare-online.com/sonnets/29detail.html>. "Analysis of Shakespeare's Sonnet 30 - When to the Sessions of Sweet Silent Thought." Shakespeare Online. Web. 13 Jan. 2012. If thinking about me when I am gone would make you upset. Do not even mention my insignificant name. And use your relationship with me to mock you after I am dead. Whose value cannot be calculated, although its altitude can be measured. Comes within the compass of his sickle. But, rather, it endures until the last day of life. Then I recant all that I have written, and no man has ever [truly] loved. Sonnet 116 is about love in its most ideal form. It is praising the glories of lovers who have come to each other freely, and enter into a relationship based on trust and understanding. The first four lines reveal the poet's pleasure in love that is constant and strong, and will not "alter when it alteration finds." The following lines proclaim that true love is indeed an "ever-fix'd mark" which will survive any crisis. In lines 7-8, the poet claims that we may be able to measure love to some degree, but this does not mean we fully understand it. Love's actual worth cannot be known – it remains a mystery. The remaining lines of the third quatrain (9-12), reaffirm the perfect nature of love that is unshakeable throughout time and remains so "ev'n to the edge of doom", or death. Shakespeare, William. Shakespeare's Sonnets. Ed. Tucker Brooke. London: Oxford UP: 1936. Shakespeare, William. Shakespeare's Sonnets. Ed. A.L. Rowse. London: Macmillan, 1964. Shakespeare, William. The Works of Shakespeare. Ed. John Dover Wilson. Cambridge: Cambridge UP, 1969. Smith, Hallett. The Tension of the Lyre. San Marino: Huntington Library, 1981. Spender, Stephen. The Riddle of Shakespeare's Sonnets. New York: Basic Books, 1962. Tucker, T.G. The Sonnets of Shakespeare. Cambridge: UP, 1924. Mabillard, Amanda. An Analysis of Shakespeare's Sonnet 116. Shakespeare Online. 2000. (day/month/year you accessed the information) < http://www.shakespeare-online.com/sonnets/116detail.html >. I have seen roses damask'd, red and white, I have seen damask roses, red and white [streaked], But no such roses see I in her cheeks; But I do not see such colors in her cheeks; And in some perfumes is there more delight And some perfumes give more delight Than in the breath that from my mistress reeks. Than the horrid breath of my mistress. I love to hear her speak, yet well I know I love to hear her speak, but I know That music hath a far more pleasing sound; That music has a more pleasing sound. I grant I never saw a goddess go; I've never seen a goddess walk; My mistress, when she walks, treads on the ground: But I know that my mistress walks only on the ground. And yet, by heaven, I think my love as rare And yet I think my love as rare As any she belied with false compare. As any woman who has been misrepresented by ridiculous comparisons. If hairs are like wires, hers are black and not golden.